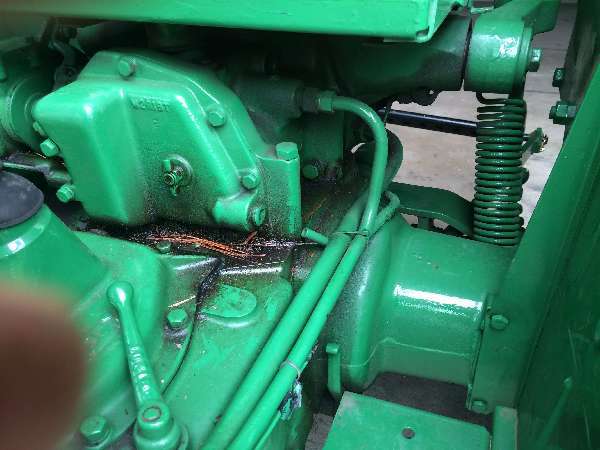 Have a question for anyone about powering up my log splitter a diffrent way, I have a 6hp Briggs and Stratton motor currently not in use and was wondering if I add on an 11 GPM concentric haldex 2 stage pump from Northern tool, Would it work, adding with that a 10 gallon hydraulic supply tank? What do you think? The Splitter hyd. cylinder is 3.5"x24" ! You're on the right track here. You might be looking at the same pump I've got here. This is a two-stage pump, putting out 11 gallons per minute, and requires a minimum of a 5 horse gas engine. Requires a 4F17 pump to motor adapter. I'll post the link below. Connect this pump to your gas engine using this adapter. You might find an old hydraulic tank at your local wrecking yard, or maybe off of an old dump truck that might be sitting in the graveyard behind somebody's farm. I forgot to tell you that you'll also need a lovejoy coupler to match up with your motor and pump. It's a 3-piece system using two jaw halves and a rubber spider. You'll need the shaft diameter from your motor in order to get the second half of this coupler. I was looking at the very pump you mentioned, The adapter was good to know as well. Not to mention the price! as for the tank, do you think a 10 gallon would be adaquate? I may have to do alittle looking around to find one. A 10 gallon tank will work just fine. If you happen to notice that things seem to be getting a bit warm while you're splitting on a hot day, just take a break for a bit. Sit down in the shade and have a beer while your hydraulic oil cools down. You might find that you'll even be able to save more money on this project if you are willing to spend some time shopping around on the internet, or if you happen to find something at a local farm auction. Nothing wrong with building something with used parts, so long as you're willing to accept the fact that you find an occasional "boat anchor" mixed in with the good stuff. I found this 10 gallon hydraulic tank on Ebay. Seller is in Littleton, Colorado. Your amazing, I just left for awhile to haul some hay, and I get home and find you've located a 10 gal. tank, and in Colorado ! Unbelivable ! I'll see if I can locate the guy in Littleton. You're welcome, sir. Wish I could be there to help you build this splitter. I enjoy this fabrication stuff to no end. I like the tank very much... but I haven't gotten hold of the seller just yet, I'm still thinking your idea of a belly mounted tank with legs would be a better fit. because it's a three point mounted splitter there isn't much room to mount anything. I'm still looking at how I'll mount the motor, could weld a mounting plate off the beam or just leave it loose, still not sure. plan to mesure the shaft on motor and order pump and parts today. When we did something similar we made up a box, much like a counter-balance, with a reservoir on 4 legs (like a kids school desk) with the engine and pump in the space below. Keeping the engine below the reservoir helps eliminate cavitation since the fluid primes the pump. We added a trailer hitch on the back to tow a splitter or chipper (both hydraulic drive) and a Quick-Hitch on the 3pth makes setting down the power pack quick and easy.